People with higher IQs are more likely to be happy, research finds. 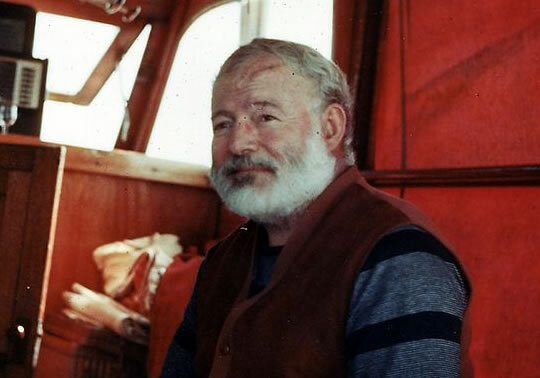 The finding goes against both Hemingway and the popular idea that being intelligent is somehow predisposes people to unhappiness. “We found that IQ is associated with self-reported happiness, as levels of happiness were lowest in the lower IQ groups and highest in the higher IQ groups. For the study, data from almost 7,000 people was analysed. “When looking at the data we saw that people with a lower IQ were less likely to be happier because of higher levels of socio-economic disadvantage such as lower income. “There is also some evidence that long term intensive strategies directed at young children from socially deprived backgrounds can have a positive impact not only on IQ but also on wellbeing and life opportunities. The study was published in the journal Psychological Medicine (Ali et al., 2012). Image owned by John F. Kennedy library – Ernest Hemingway Photograph Collection, John F. Kennedy Presidential Library and Museum, Boston, Public Domain.